Despite the current disposition towards Australia’s pokies industry, it seems that the popular casino game actually makes a significant contribution to the country’s economy each year. Last week at the Australasian Gaming Expo, it was announced that the casino game results in an estimated AU$8.32 billion being injected into Australia’s economy. 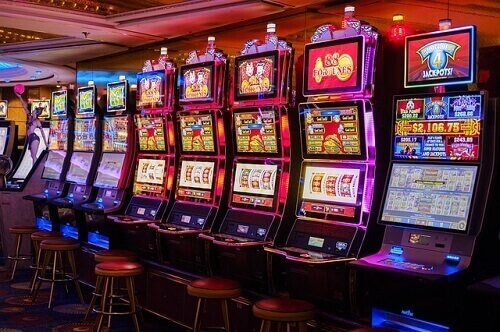 The findings come from a survey performed by the Gaming Technologies Association (GTA) – a group representing the most notable pokies manufacturers in the country. Some such providers include Aristocrat Technologies, Scientific Games and IGT Australia, among many more. As with many positive pokie-related claims, this assertion did not go unchallenged by anti-gambling groups. In retaliation to such claims, GTA’s Ross Ferrar emphasised the contributions of the taxes gained from casino and related gambling operations make to the economy. Ferrar stated that the tax money gained from Australian playing on pokie machines could be used to build useful public infrastructure enjoyed by all citizens, such as hospitals or schools. Some campaigners were quick to point out that the amount Australians lose each year on pokies far outweighs these potential contributions. The latest released state statistics suggest that Australians may be losing more than AU$12 billion on pokies each year. Among some of the other statements made at the Australasian Gaming Expo was that the gambling industry is currently going through a shift. Although pokie games have been the popular favourite of Aussie gamblers for some time now, it seems that industry leaders believe that a shift in popularity is near. Both Adrian Halpenny (Senior Vice-President of Scientific Games Australia and Asia) and Damian Quayle (CEO of The Star Sydney) agreed that next-generation gamblers are looking for new experiences. Halpenny elaborated further by stating that gamblers are now looking for more interactive and social gaming experiences. While no one knows what the future holds, we can tell you that pokies are currently still the most popular casino games around. If you have a hankering to try your luck at one such game, always remember that you can do so at Pokies.com – Australia’s best-rated casino guide!